Any time Kevin Harvick®, driver of the No. 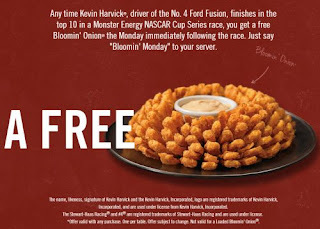 4 Ford Fusion, finishes in the top 10 in a Monster Energy NASCAR Cup Series race, you get a free Bloomin' Onion® the Monday immediately following the race. 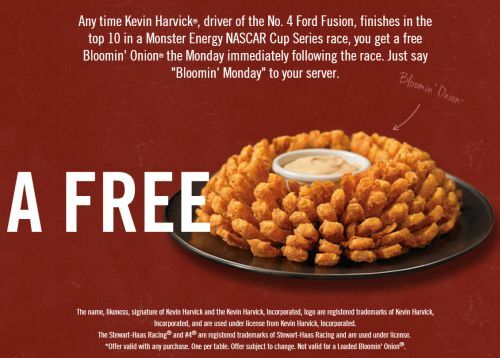 Just say "Bloomin' Monday" to your server. Click the link below to get the details of this offer.